If you aren't familiar with this popular Japanese fashion, we're happy to be the first to tell you about it. Harajuku fashion originated in the streets of Harajuku. Our designer, Cynthia Jamin, was inspired by the girls from this area who created their own style. They use all sorts of prints and colors, mixing and purposely mis-matching them together to create works of art. The only rule is to be as unique as possible. 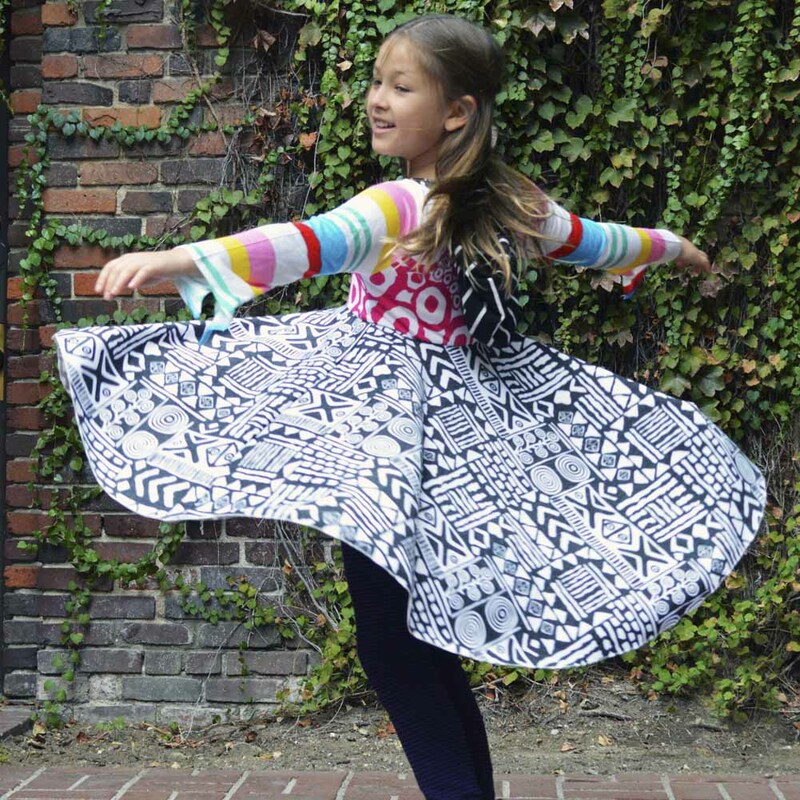 Our Girls Harajuku Spin dress is a TwirlyGirl take on this inspiring style. It features a fun twirly skirt, lined bodice with no itchy seams, unique sleeve design and hoodie. Every version has 4 funky fabrics. The only thing missing is your "spin" on it. Be daring and use your creativity! Take a picture and #TwirlyGirl. We'll feature you on our Instagram page.